The Mellerware Luna dome kettle combines urban stainless steel style with a classic shape. With a massive 1.8L capacity the Luna dome kettle gets the job done. 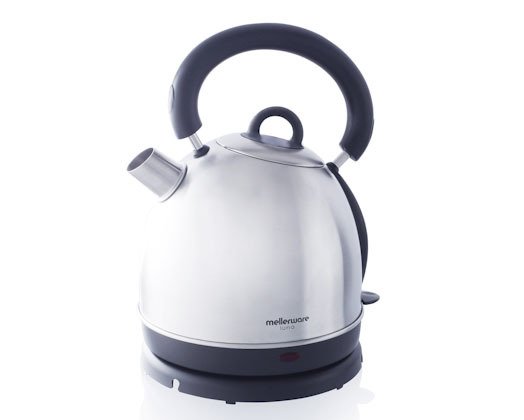 It has an automatic switch-off and boil dry cut out safety switch that will increase the lifespan of the Luna some kettle. The strategically placed water lever indicator and 360 degree cordless base makes the Luna dome kettle a stylish addition to any kitchen.